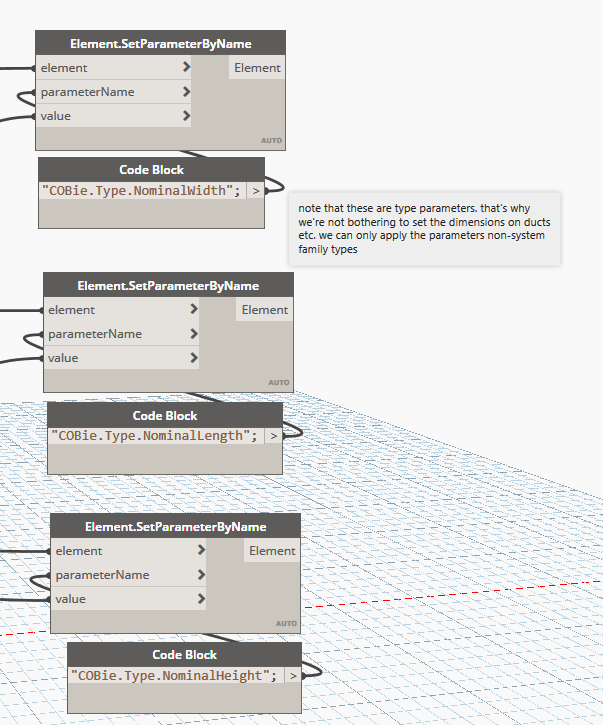 A quick follow up to my previous post on titleblock integers with a little more in depth explanation for new users to Revit. Need Bulk Family Upgrades? You’ve Got Options! 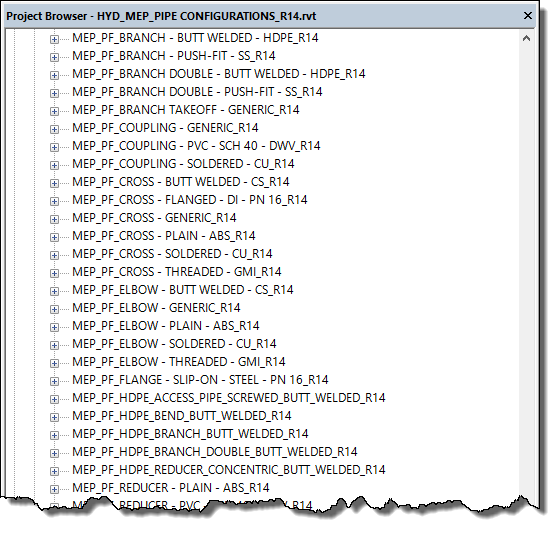 Harry Mattison of Boost Your BIM has written a Bulk File Upgrader program which you can use to upgrade projects, families and templates in bulk. 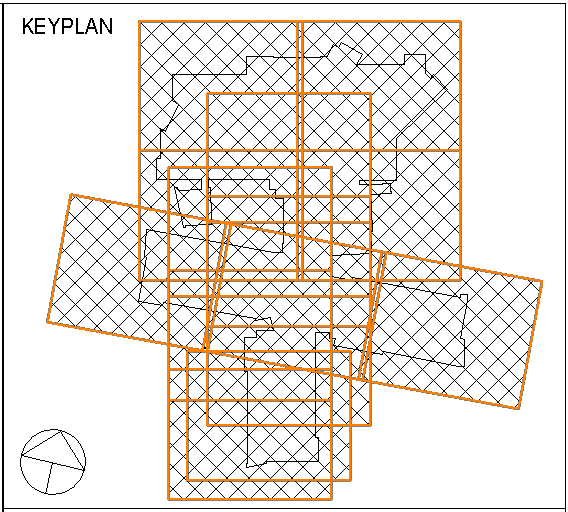 It costs US$99 and has a very simple to use graphical interface which basically consists of selecting the location of files in and files out. This is a relatively new file upgrade addin that was released just this last week. The batch file upgrader will scan a user specified folder for project files and family files, upgrade them and save them in the same folder. All backup files are automatically removed afterwards in order not to clutter the folder that is being upgraded. This application requires minimal input, and works great with multiple library file upgrades. You can grab it from the Autodesk App Store. Another alternative is to think about what you want to do in reverse. James LeVieux sells a great little addin called CADDaddy Tools, it doesn’t upgrade files, but it will export families to a folder location complete with sub-folders that reflect the element category. 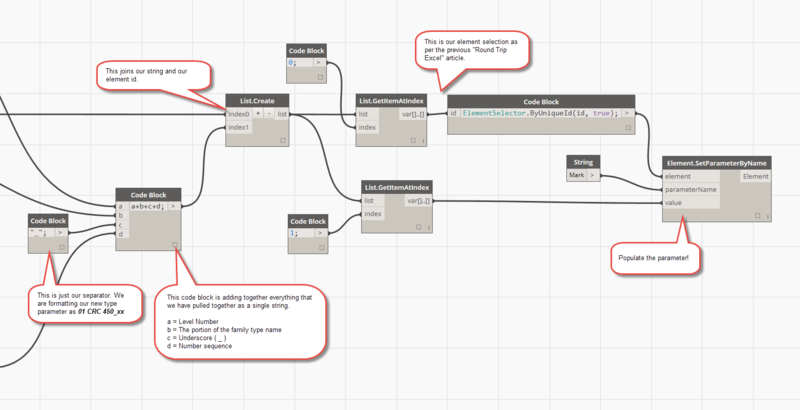 This is a fantastic solution if you keep all (or most) of your families in your base Revit template. 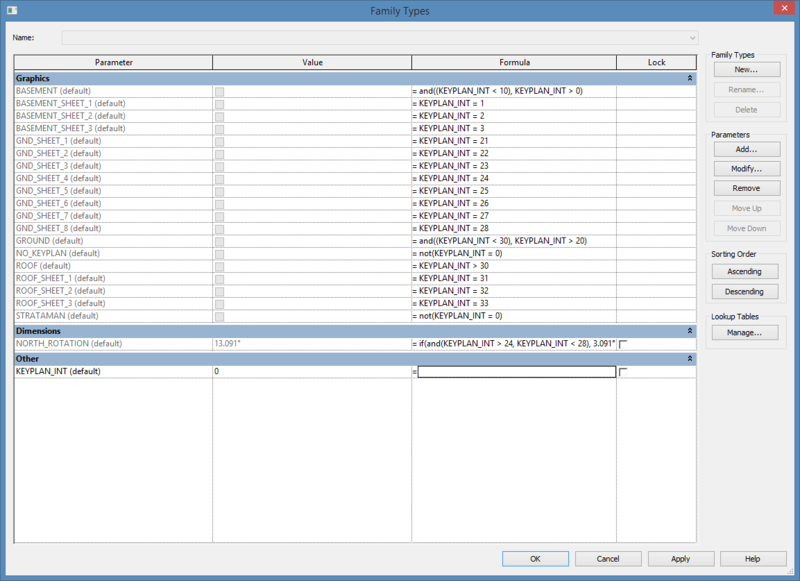 Simply upgrade your Revit template or project and then use the CADDaddy Tools family exporter to export all your newly upgraded families. 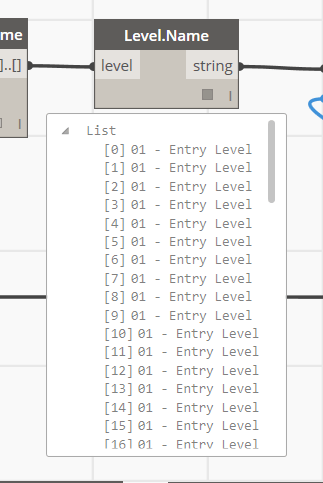 You can pick and choose what categories are exported and away you go. The best part is that CADDaddy Tools is only US$12.99 for the latest version (2017) and gets cheaper for previous releases and for that price, you also get a few other handy tools as well. 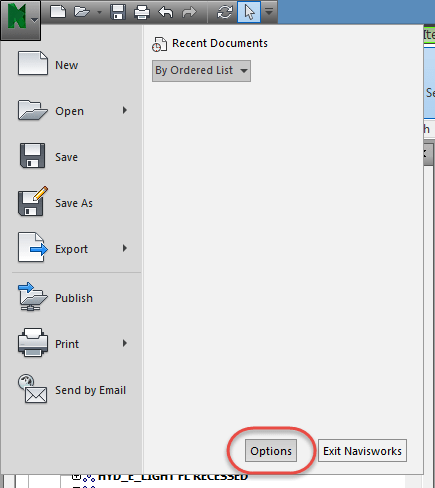 Once you’ve exported your families, if you have the Revit version as a suffix to your file names, there are a number of free file name utilities out there that you can use you rename your files to reflect the correct version. 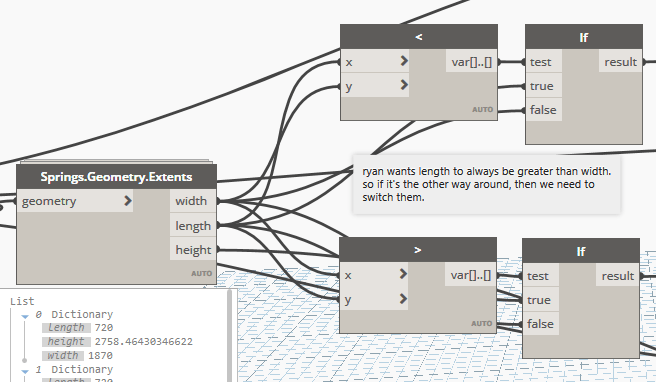 If you’re up for something ever so slightly more complicated than the other two options, you can use a Revit journal script. I’ve tested this to work in both Revit 2015 and 2016 and it will bulk upgrade files with ease and what’s better is you can do it for free! First download this file and extract the contents to the root directory of your family library. I suggest you take a copy of your family library to make the changes to so you don’t lose the previous version of your families. 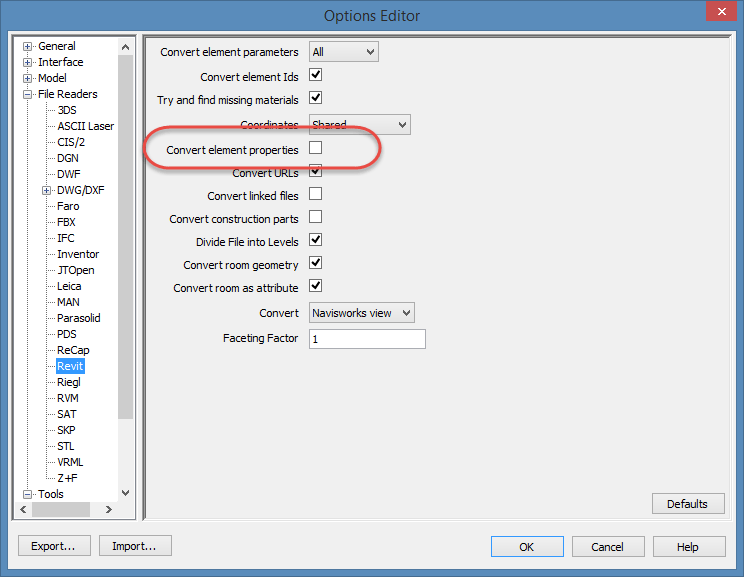 Once you have the famlist_rfa.txt file, simply drag and drop the BatchUpgrade2016.txt file onto the Revit icon on the desktop. Make sure you drag it to the correct icon i.e. 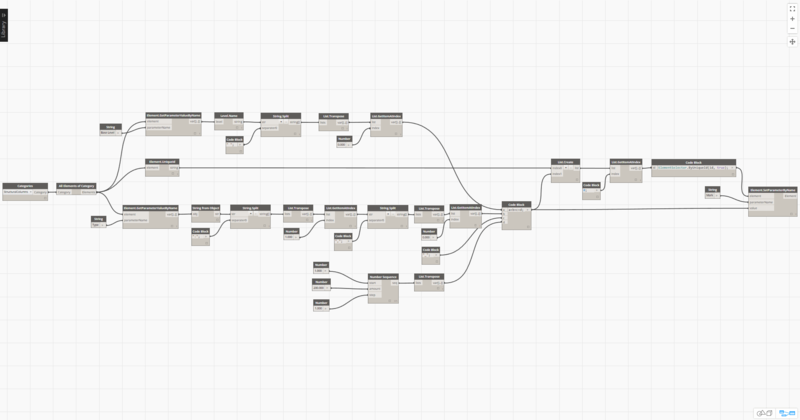 Revit 2016. Now all that’s left to do is watch the magic! 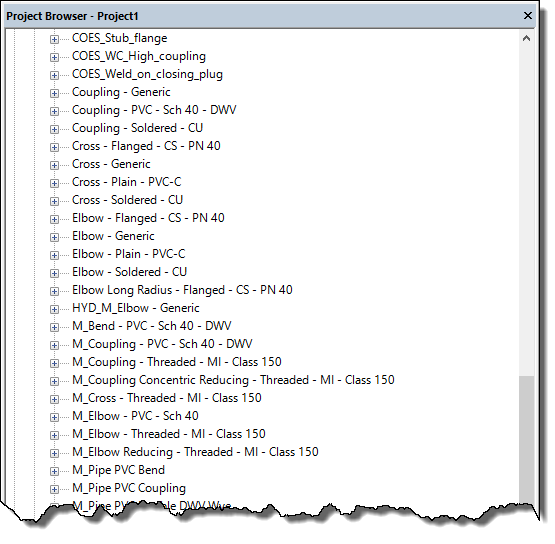 13/10/16 – Script updated for Revit 2017 compatibility. Please re-download the file for the updated script. 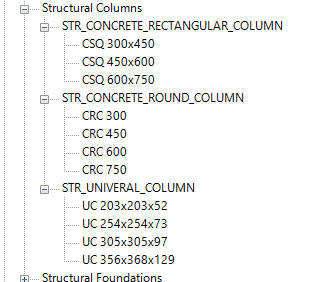 One of the gripes that a lot of hydraulic engineers and modellers have with Revit is the representation of pipework bends in 2D views. 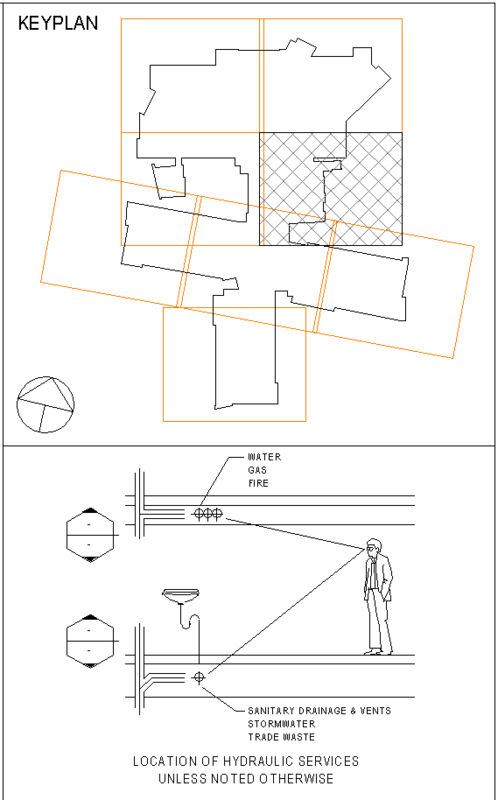 It’s something that I fixed up pretty early on, but I’ve come to realise when I come across drawings that look similar to the screenshot below that some may still not know how to fix this. I’d a quick fix per fitting, the problem will be if you have a lot of fittings to modify, it becomes a long repetitive process. 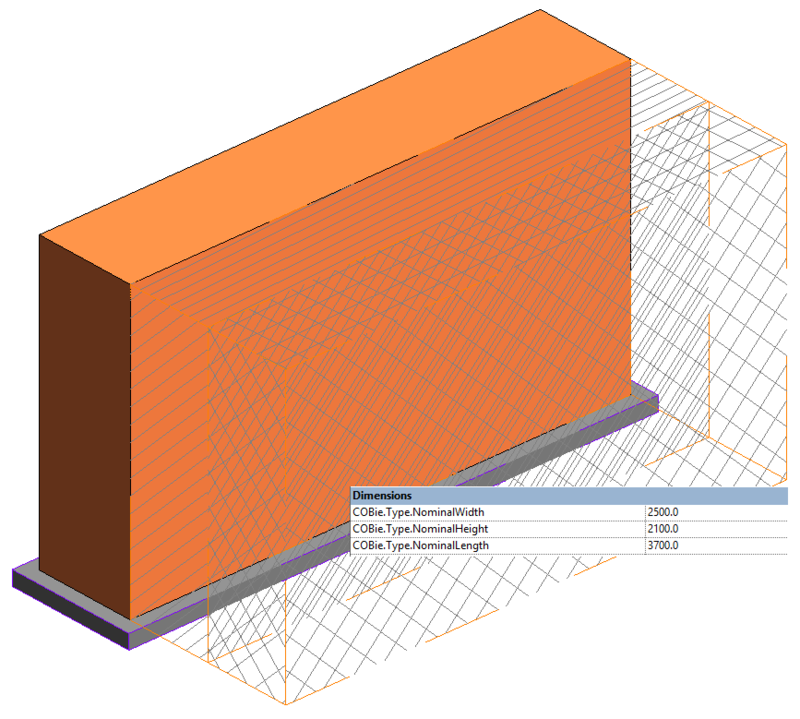 In this instance I am modifying the out of the box Revit family Elbow – Soldered – CU.rfa. If you’re little overwhelmed by what you see on the screen, don’t worry; we’re not touching any of the dimensions or 3D elements. If you need to, you can adjust the scale of the view to change the size of the dimensions, or you can completely turn off the dimensions in Visibility/Graphics (VV / VG shorcuts). What we are wanting to change is the 2D representation of the fitting, which are model likes of the pipe fitting subcategory. In the screenshot below, I’ve highlighted them in red with the dimensions turn off for clarity. When modifying the pipe fittings, I like to keep the original linework in the family as a just in case. I usually change the linework to the <Invisible Lines> subcategory or turn the visibility off, you can however remove them if you wish. To achieve the clean 2D representation that you’re used to, we’re going to create some new linework along with a reference line to control the angle. 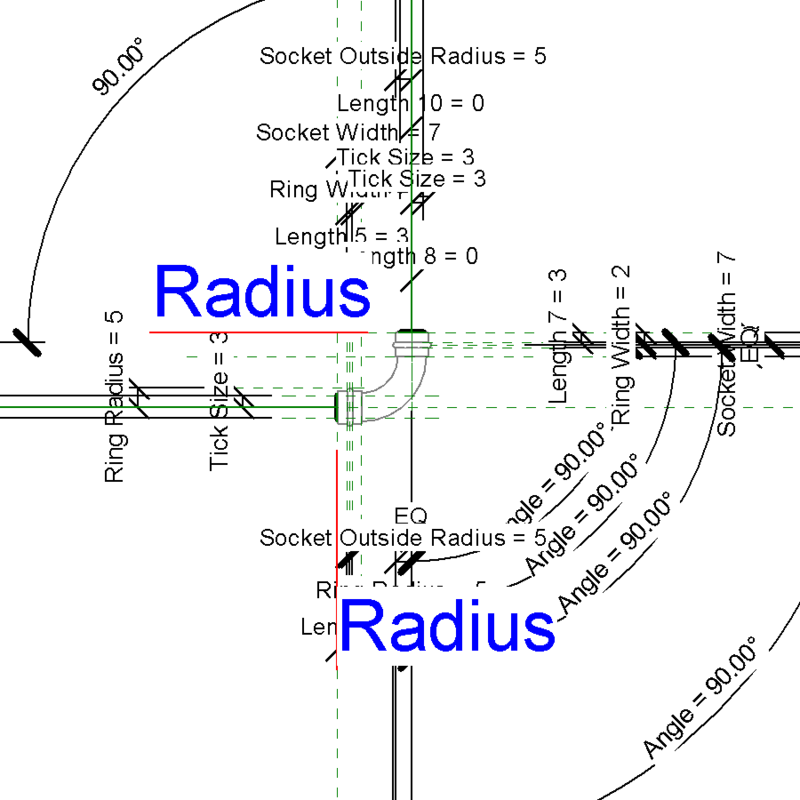 When you start drawing your line from the intersection of the two reference planes, Revit will automatically lock your line to the intersection point, this is also the point the the fitting is scaled around. 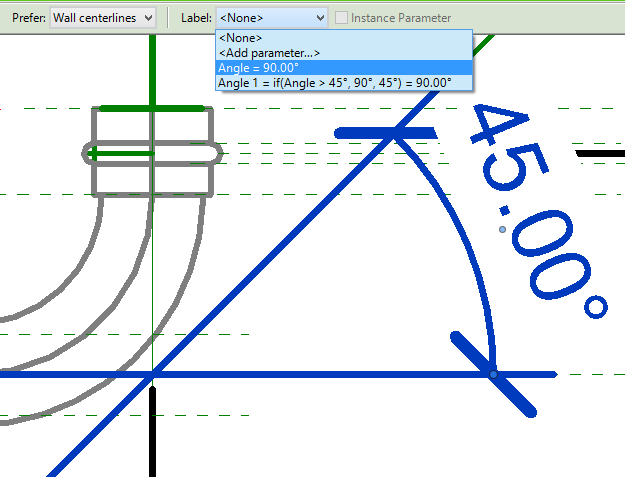 Next, apply the angle parameter to your dimension, the line will snap around to the same direction as the fitting. 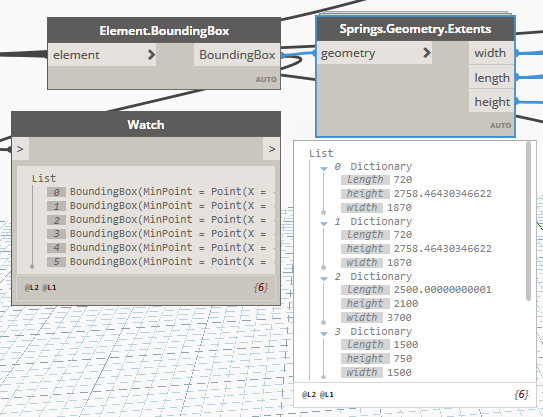 You now need to align and lock the endpoint of your line to the reference plane for the outside edge of the fitting. Now draw the other half of your fitting symbol. You don’t need to apply an angle in this case, just draw the line from the intersection of the Front/Back and Left/Right reference planes to the outer edge of the fitting. 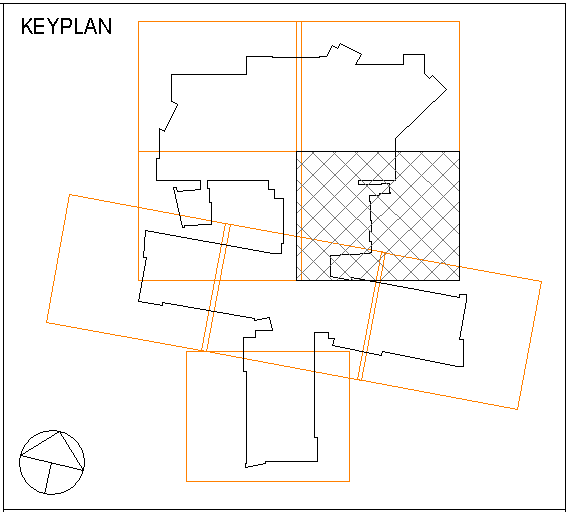 Don’t forget to align and lock the line to the outer reference plane. Once you’re done, flex your fitting within the family editor, changing the diameter and angle. Make sure everything works as expected. For the tee fitting, there is no need to recreate the symbology from scratch, all you really need to do is to remove the ticks by either making them invisible, or changing them to the <Invisible Lines> subcategory.